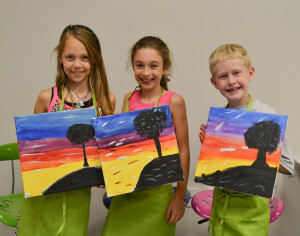 With Paint Fun Studio you can book an art lessons in Central NJ through our event calendar on our website. We have open studio with an instructor Monday to Thursday. Give us a call to drop in and create a beautiful masterpiece. You can go to our event calendar to make a reservation to come to our studio for a painting lesson. >Art lessons are not just for a month or two. Art is something that you learn gradually with love, practice, and patience. Art is an ongoing learning process. You can master it with time, passion, and practice. These art lessons are for people of all ages, from Pre-K to adult. Parents even take lessons with their children. Art lessons in Central NJ help each student creates their own individual artwork, based on their talent, skill, and interest. No two artworks are the same! I am amazed at the individual growth of my students within a few months, no matter what age. Over the years, I have witnessed many inexperienced students develop into wonderful artists in just a short time. Nilufar, our main art teacher hosts childrens art parties in Central NJ. You can expect only the best art lessons at Paint Fun Studio. At our studio we do not leave you on your own, we take the brush out of your hand and show you how to paint. We use all different types of media including: Pencil sketching, Pastels, Shading, Oil Pastels, Charcoal, Marker pen, Calligraphy, Watercolor, Acrylic Painting, and Oil Painting. Paint Fun Studio offers Summer Art Camp and Lessons in Somerset County NJ. Our studio is located in the upscale destination in Somerset, NJ where you can enjoy paint, drink and create a masterpiece. I take great joy and pride in my teaching! This is my Passion! My students’ artworks bring tears of joy to my eyes! I love my students’ achievements as an Artist! At Paint Fun Studio you get Kids Summer Art Camp in Somerset County NJ. Come join us for an unforgettable evening of fun and fine art with friends where you can enjoy a drink and paint. The goal is to develop a child’s artistic intuition. So we start with all the basic knowledge of art with kids. We love painting and working with children, it makes us very happy! We help to bring out you inner artist and help to make your own Masterpieces! We offer Art Lessons for all Ages Somerset County NJ. At our studio we provide you with glassware, utensils, plates and all of your art supplies. Just bring your own drinks and snacks! Our Studio provides all the art supplies. You don’t have to bring anything. All you have to do is, just show up in our studio with a passion for art and interest to learn. We take care of everything else! Paint Fun Studio has art parties in Somerset County NJ. Bring your friends to our studio and open your favorite bottle of wine or beer and paint a beautiful portrait. Our art parties are always a lot of fun! You can bring your favorite snack to eat while you paint. We have birthday art party in Somerset County NJ. We do birthdays, girl’s night out, date night, fun night out, fundraising, kid’s birthday parties, bachelorette parties, corporate events, team building, or even just a mom’s night out. We even do mobile paint parties by bringing the party to you. We bring all of the painting supplies depending on which type of party you are planning to have. Our studio offers specialties such as paint and sip in Somerset County NJ. We also offer glass bottle painting and wine glass painting. Call us for details! We teach all different styles of painting: Still Life, Landscape, Human Figures, Animals and Birds, Portrait, Realistic, Abstract, Decorative art, and Crafts of interest. Come to our studio to paint and have some wine painting in Somerset County NJ. Join us for an unforgettable night and paint a wonderful masterpiece. 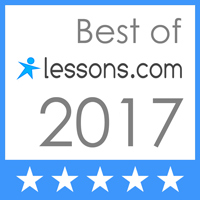 We give the best art lessons in Somerset County NJ. We offer this unique speciality at our studio to bring you something different! Check out or event calendar to see when we offering glass bottle paintings at our studio.